New Orleans Times-Picayune photographer Michael DeMocker had a couple photos of his own, which we will share because there can never be enough photos of Rob Ryan dancing. 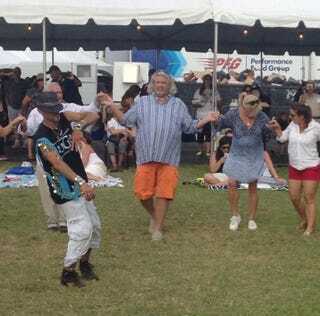 Rob Ryan embraces all parts of New Orleans culture. He is the best.